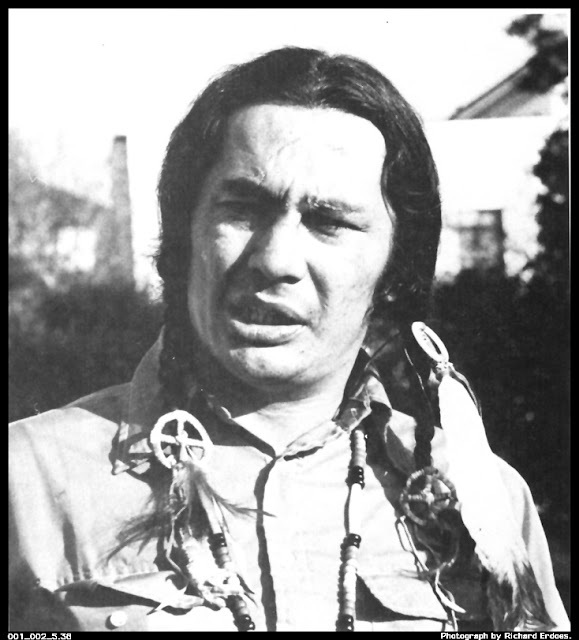 Russell Charles Means (November 10, 1939 – October 22, 2012) was an American actor, Oglala Lakota activist for the rights of Native American people. He became a prominent member of the American Indian Movement (AIM) after joining the organization in 1968, and helped organize notable events that attracted national and international media coverage. 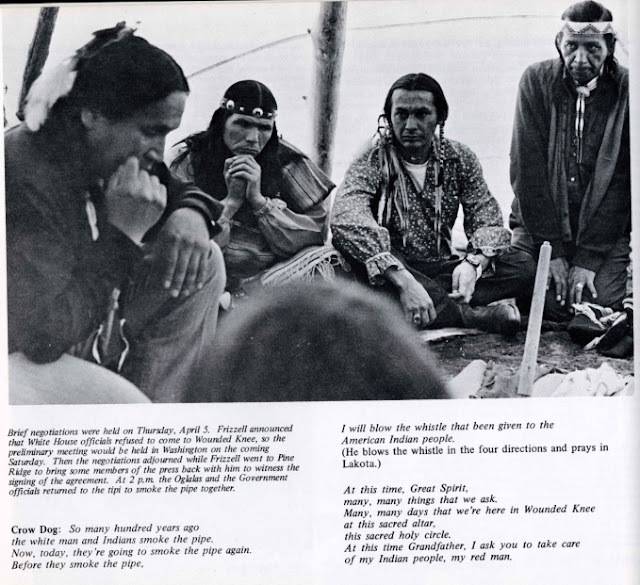 Means was active in international issues of indigenous peoples, including working with groups in Central and South America, and with the United Nations for recognition of their rights. 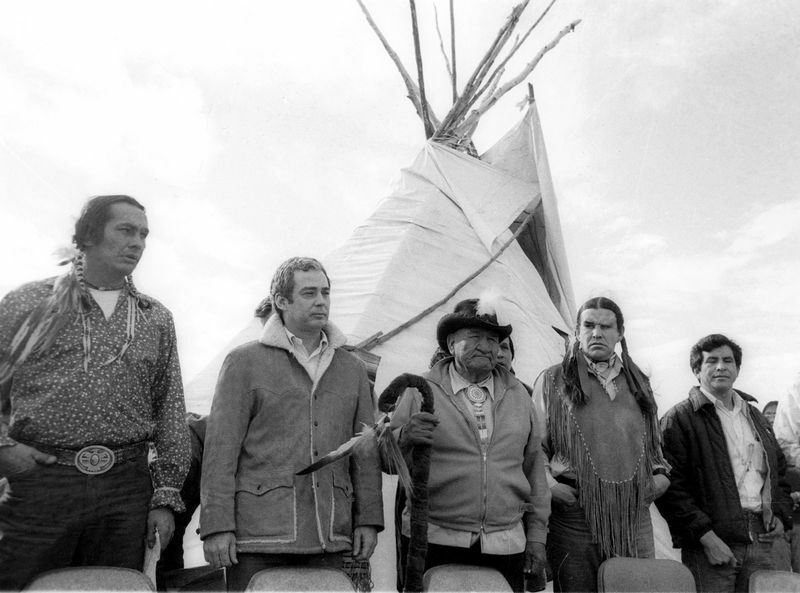 He was active in politics at his native Pine Ridge Indian Reservation and at the state and national level. 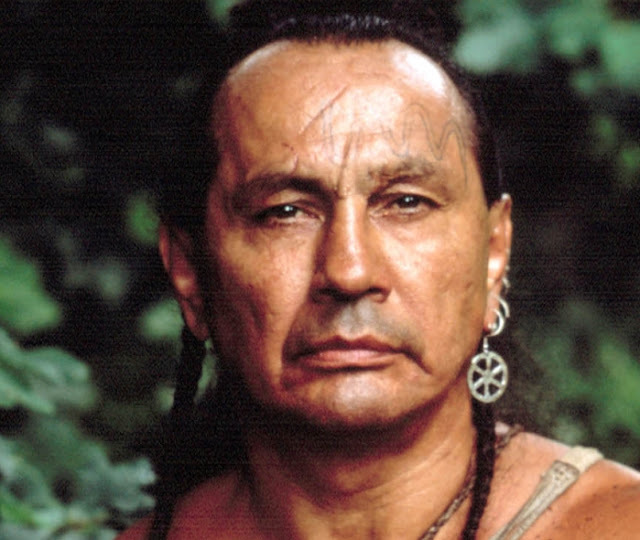 Beginning an acting career in 1992, he appeared in numerous films, including The Last of the Mohicans, and released his own music CD. 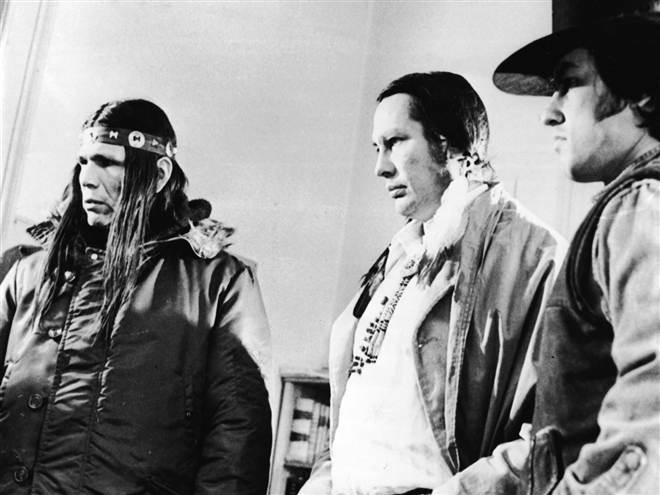 Means was born on the Pine Ridge Indian Reservation, South Dakota, to Theodora Louise Feather and Walter "Hank" Means. 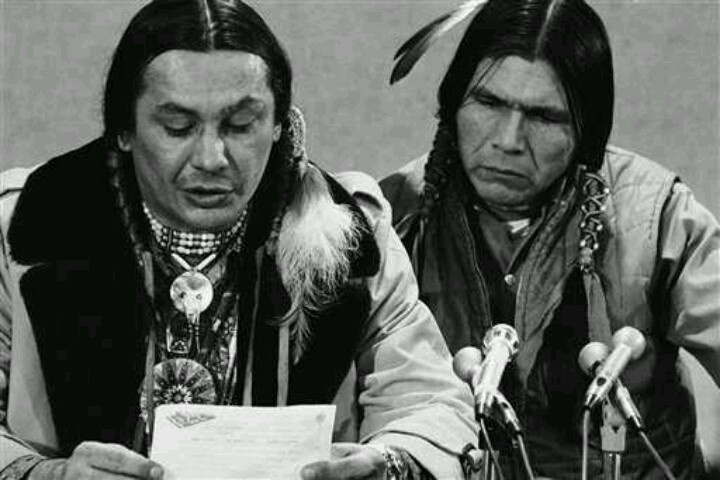 His mother was a Yankton Dakota from Greenwood, South Dakota and his father, an Oglala Lakota. 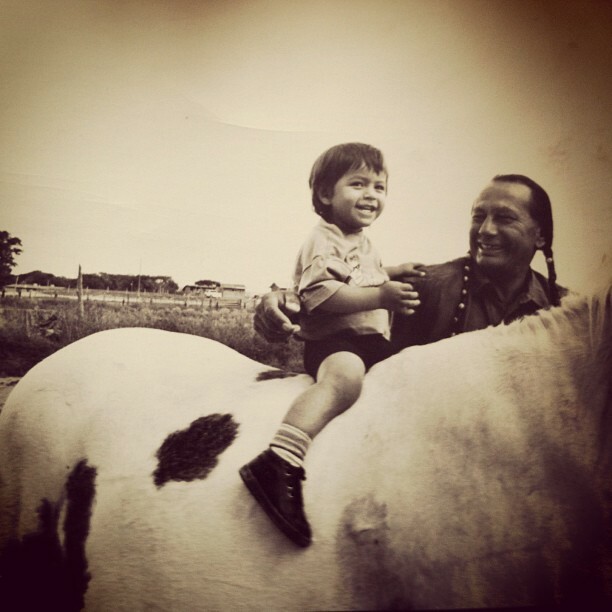 He was given the name Wanbli Ohitika by his mother, which means "Brave Eagle" in the Lakota language. 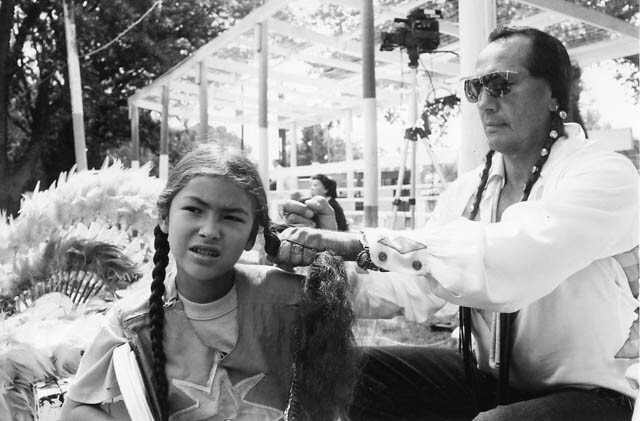 Since 1992, Means appeared as an actor in numerous films and television movies, first as the chief Chingachgook in The Last of the Mohicans. 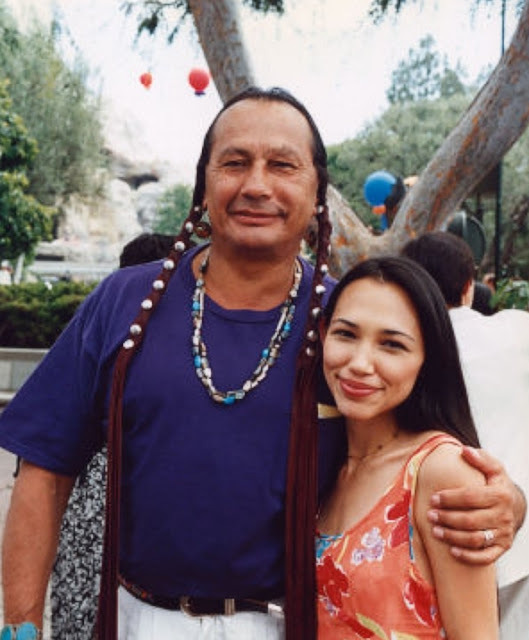 He appeared as Arrowhead in the made-for-TV movie The Pathfinder (1996), his second appearance in a movie adapted from a novel by James Fenimore Cooper. 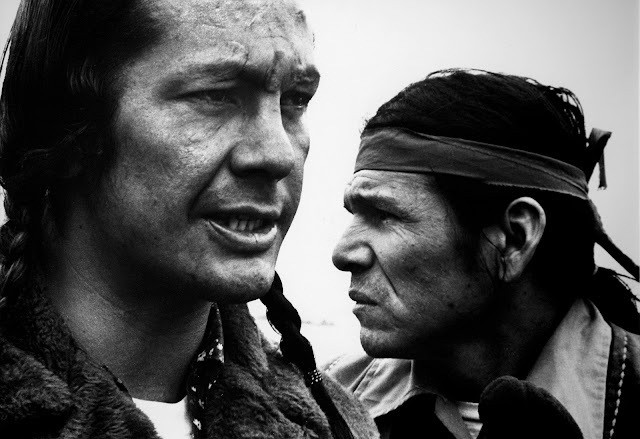 He appeared in Natural Born Killers (1994), as Jim Thorpe in Windrunner: A Spirited Journey, as Sitting Bull in Buffalo Girls (1995), and had a cameo in the miniseries Into the West (2005). 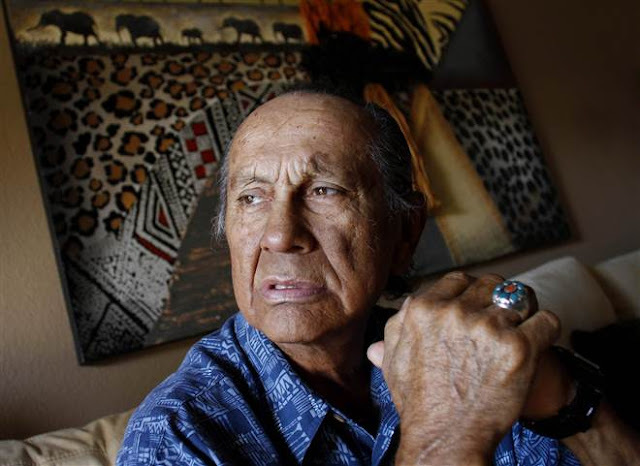 Russell Means and Marlon Brando Decry Treatment of Indians in U.S.
Photo: Joshua Lott American Indian activist Russell Means, seen here at his Scottsdale, Ariz., home in October 2011, helped lead protests for Native American rights. 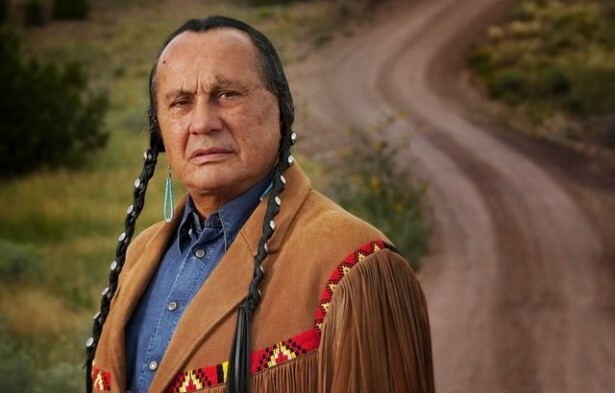 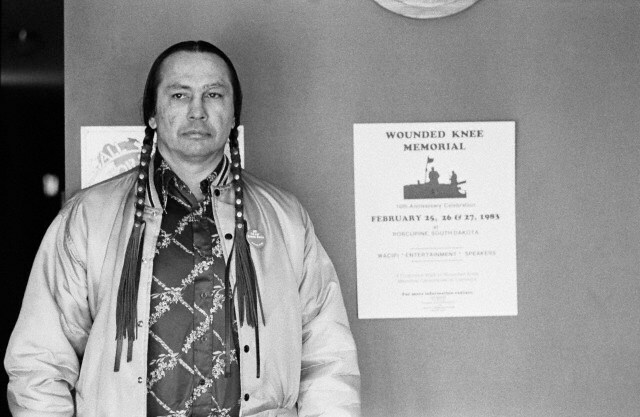 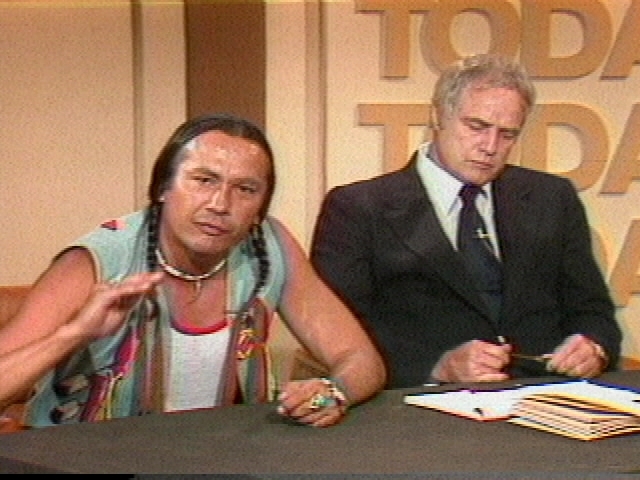 Responses to "Remembering Russell Means in Pictures: Warrior for the People "
I'd be hard pressed to thino of another human being I respect more than Russell. 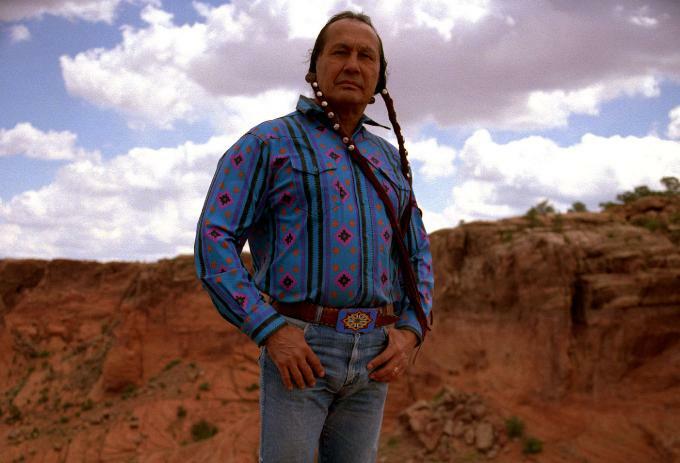 A man of great wisdom, integrity and courage.